As part of a nationwide tour, House of Representatives Transportation and Infrastructure Committee Chairman John Mica (FL-07) and Congressman Patrick Meehan (PA-07) are coming to King of Prussia to hold a Listening Session from 3-5pm on Friday, March 25th. According to the Committee's announcement there most likely won't be time for public to speak, but written comments are welcome. Nevertheless, it's still a good opportunity to demonstrate to the attending Members of Congress and guest speakers that there is strong public support for trails and biking/walking projects that are funded by Transportation Enhancements and Safe Routes to School. If you can spare the time, please come. 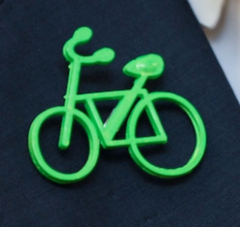 Wear your bike pin, or pick one up at the session from one of us from the Bicycle Coalition of Greater Philadelphia.